Visit the File Manager app by selecting it in the app menu or by visiting the Dashboard and selecting it there. 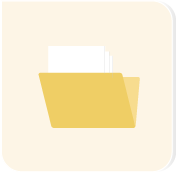 Use this app to make files available for download to your website users. Each listing (C) tells you the date the file was last modified, and an icon identifies the file type. Download or delete a file with the icons (D) at the far right. 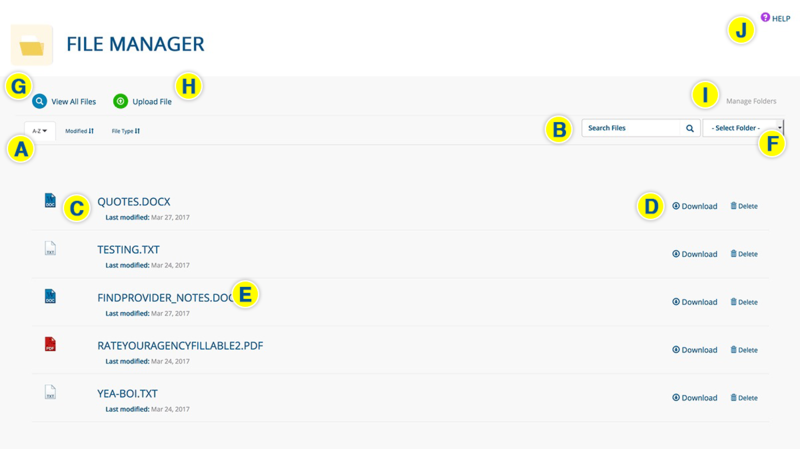 You also can download a file by clicking its title (E). Select an option from the SELECT FOLDER dropdown menu (F) to access a specific set of files. Return to this page by clicking VIEW ALL FILES (G) from any page within the app. 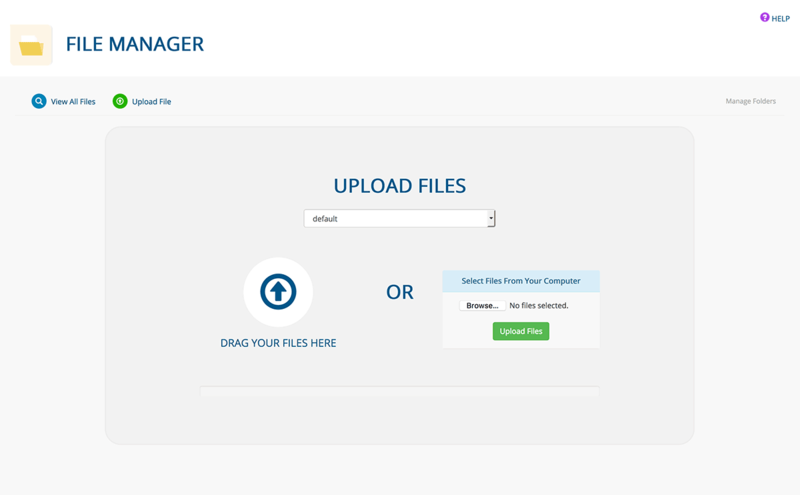 Click UPLOAD FILE from any page in the File Manager app.